ICS enterprise Co., Ltd. was founded in 1983. At the beginning, ICS developed and made toy air guns, gas pistols, dolls and other toys. In recent years, the spread of global culture and the diversity of leisure activities, such as mountain hiking, swimming, surfing and motorcycle riding, show the trend in the world that people like to balance leisure and work. Skirmish or war game is one of entertaining activities which combine military training and exercising. This activity is getting popular around the world. It provides people a brand new choice beyond the traditional exercises and also a leisure activity which can enhance the leadership skills. In view of what we talk about above, ICS devotes itself into the development and manufacturing Airsoft Electric Gun in 1998. ICS would like to provide the public healthy leisure equipments and to create a sound mental and physical leisure industry. Not only players can strengthen military skills, but also they can increase team works, analysis, and decision making capability. ICS, for many years, keep testing products and improving products by our rich professional knowledge and practical experience to meet the changing needs of consumers. 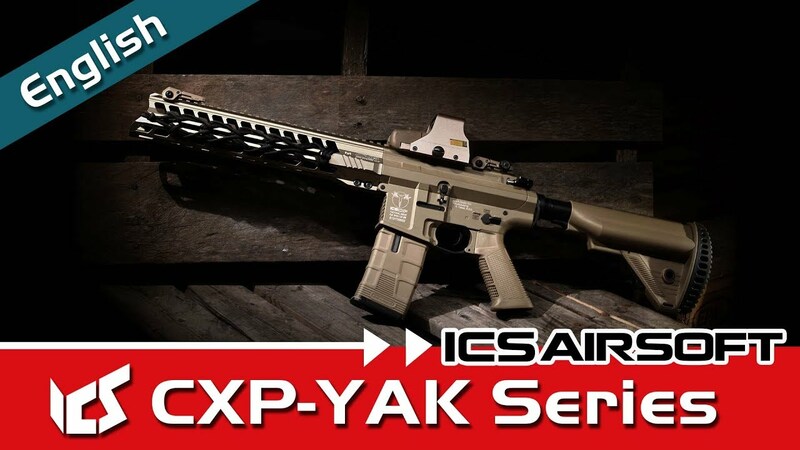 That’s the reason why ICS is able to become the first-class AEG manufacturer step by step in Taiwan by our outstanding products and innovative brand image. In the aspect of product planning, we develop new products and extend to parts and accessories, such as BB pellets, upgrade kits, accessories for skirmish, in accordance with consumer demands. ICS expects itself to bring more and better products to our fans. In the aspect of R&D, We invest huge capital on 3 dimension graphic software and related hard ware plus senior technical staffs. We take the responsibility to provide the best products to customers, because ICS are convinced that it is the only way to establish a long-term customer loyalty. Business services team has the spirit of actively expanding markets and world wide customer services. Right now, we have distribution channels in more than 60 countries around the world. Even if some place you cannot image, such as coolest place like Alaska, we provide satisfactory after-sales services in still. All the product planning, design and international marketing research and development are made by young, creative, and efficient teams in ICS. ICS brand has been recognized by players around the world. Today we will continue to expand territory and delivery the quality and the services to the farther corner of the wide world. ICS is always looking for better ways to create a better tomorrow. We constantly innovate, develop, respond to market challenge, and satisfy consumers with the information they need, all of these are a ICS eternal mission statement.